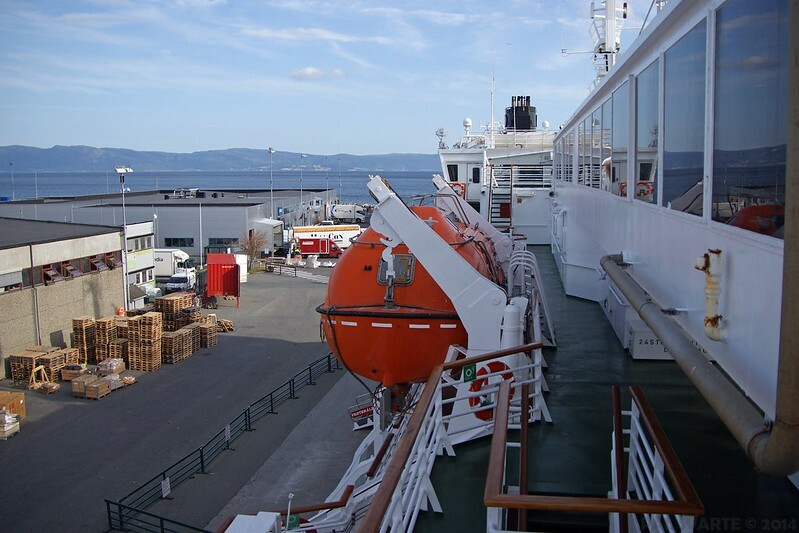 Now that's an impressive angle and perspective of the Vesterålen. Just great! Thank you for waking up this thread. 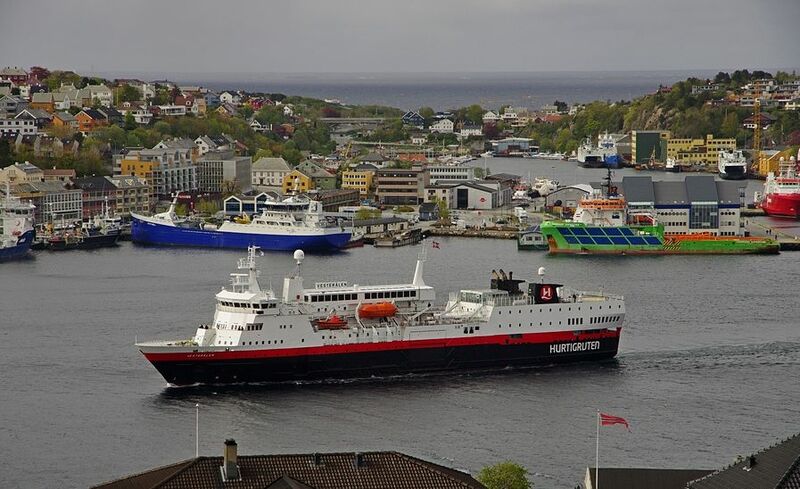 I am always interested in actual pictures of Hurtigruten ships. For you a daily sight, for us a seldom delight. Thank you Ralf - it's my aim to please! Vesterålen was in Trondheim today, and I was on board to take some pictures of the interior. The reception's area is quite similar to Gann's reception. Where Gann has two classrooms, Vesterålen has a lounge called "Vesterålstuen". This cabin is well-known to The Sea-Otter. 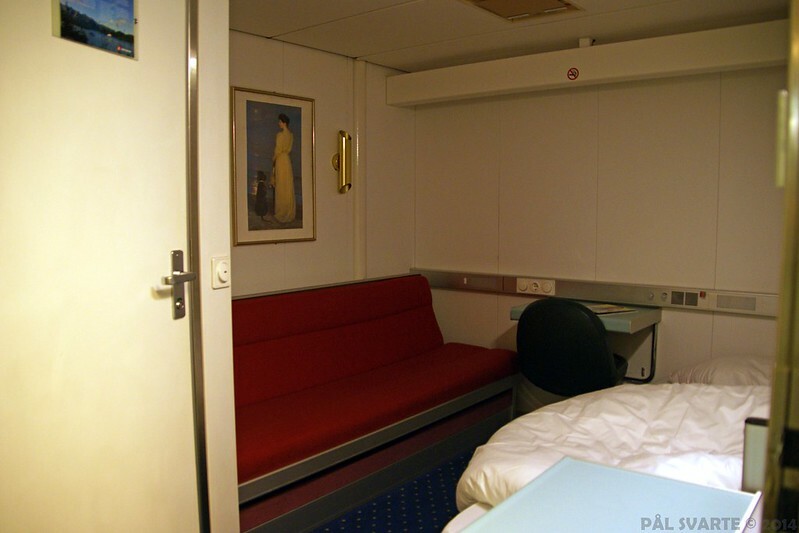 This is cabin number 407, the same as Kristian had the first two weeks on Gann. 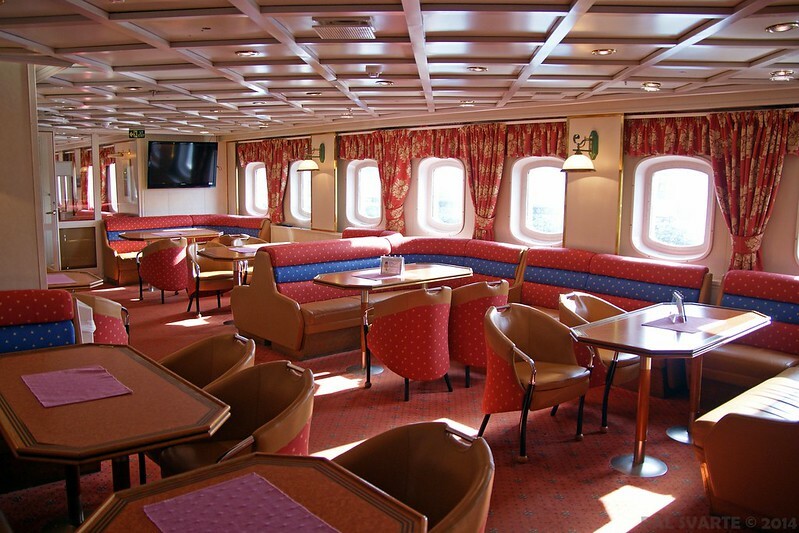 Here's the rear part of the Café on D-deck. This area is completely the same as on Gann, only the colours are different. 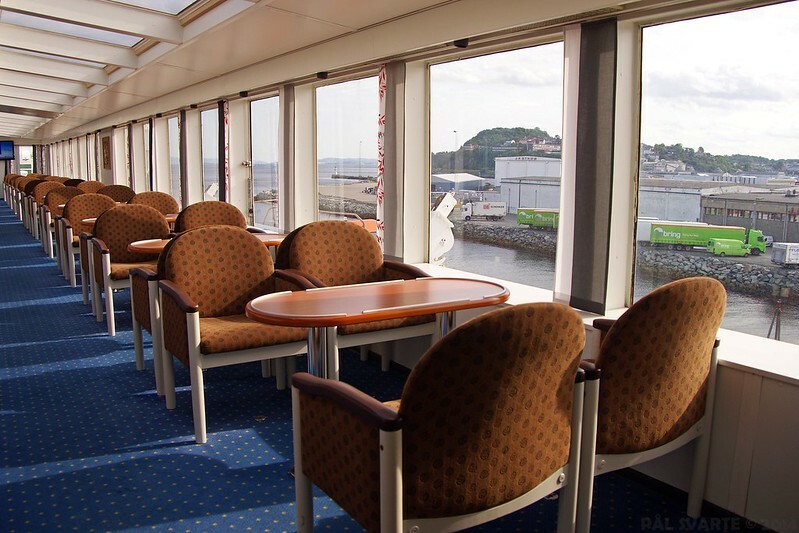 On board Gann, Nordkapp lounge is the most quiet place to be on the ship. 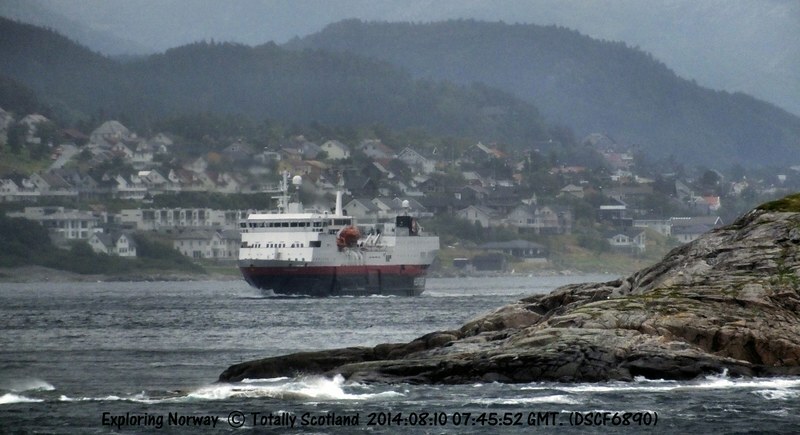 Maybe it's the same on Vesterålen? Moving out to the outside areas. Last picture. 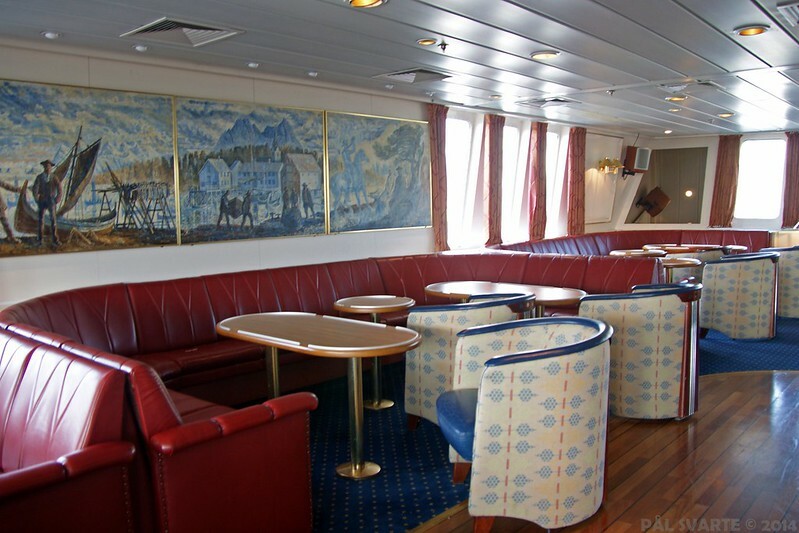 Gann has panorama lounge "Leden", Vesterålen has "Fyret". Does anyone know what the panorama lounge on Midnatsol was called? Gann has panorama lounge "Leden", Vesterålen has "Fyret". Does anyone know what the panorama lounge on Midnatsol was called? 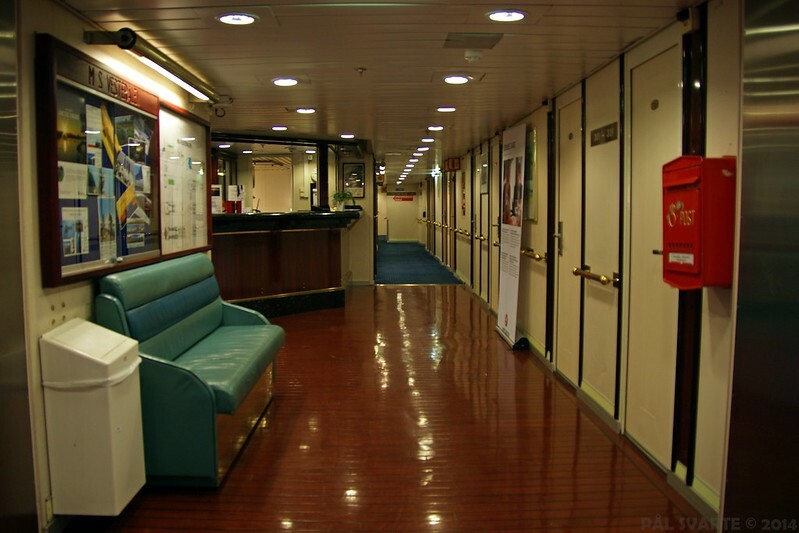 It was called the Polar lounge when the ship was Lyngen, and I think it was the same when she was Midnatsol - I'm sure I have a deck plan from 2003 and will confirm the name when I have a chance to look it out. 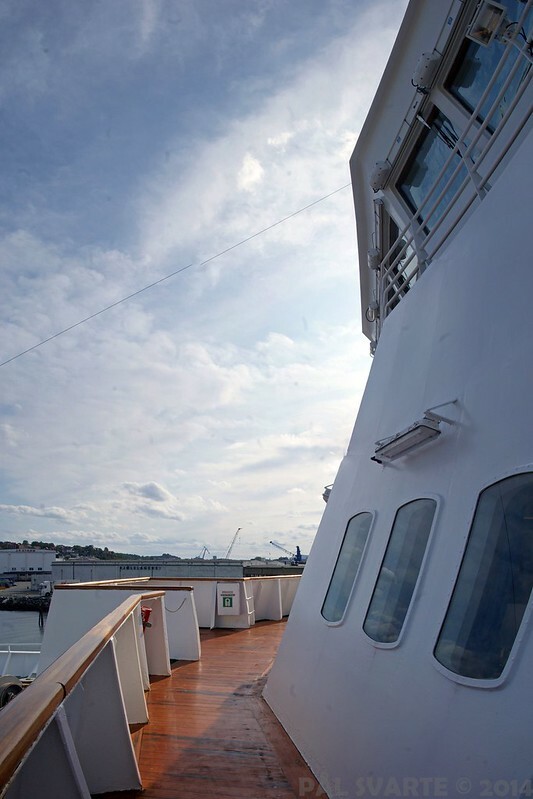 I found the deck plan and checked, and yes my memory was correct - it was called "Polar". I cannot figure out where you shot these pictures from?? I'm guessing that it was from the Discovery while arriving as well ?? I do not recognize the background scenery at all. Puzzled. Absolutely right ombugge. 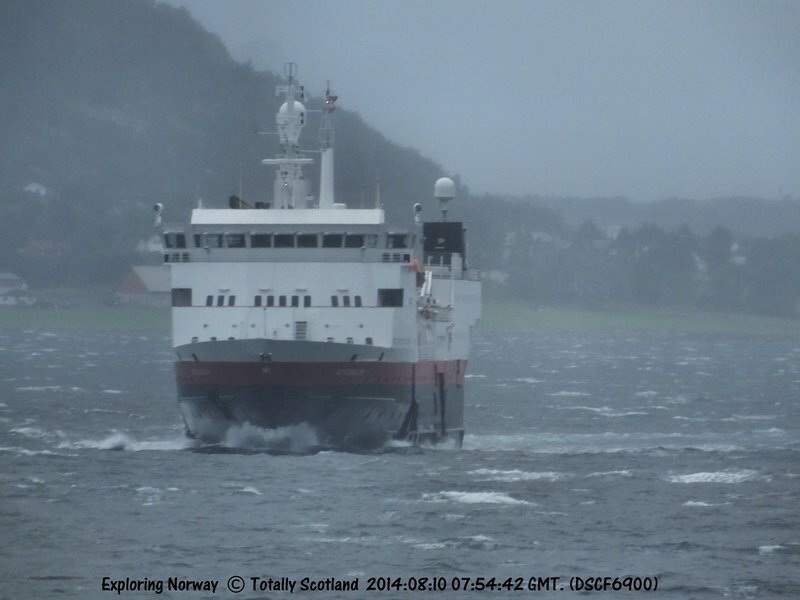 we were on Discovery and, because of the wind, didn't stop in Ålesund but continued inside passage until further south. 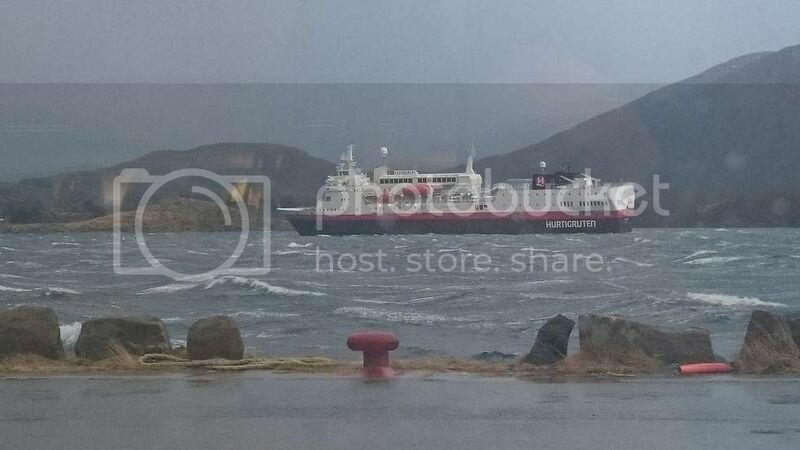 Vesterålen came past us. Great composition, you have to look twice to recognize the proportions! 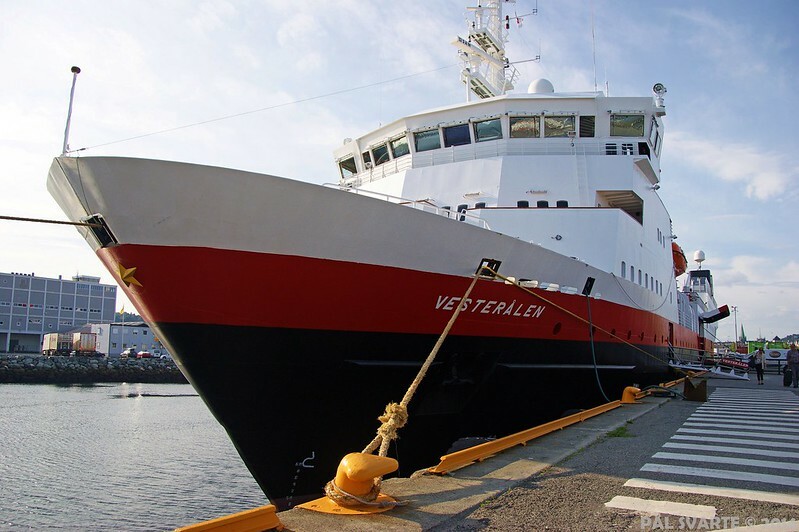 "Vesterålen" must be my favorite ship in the fleet. Perhaps because of her sister dressed in blue? 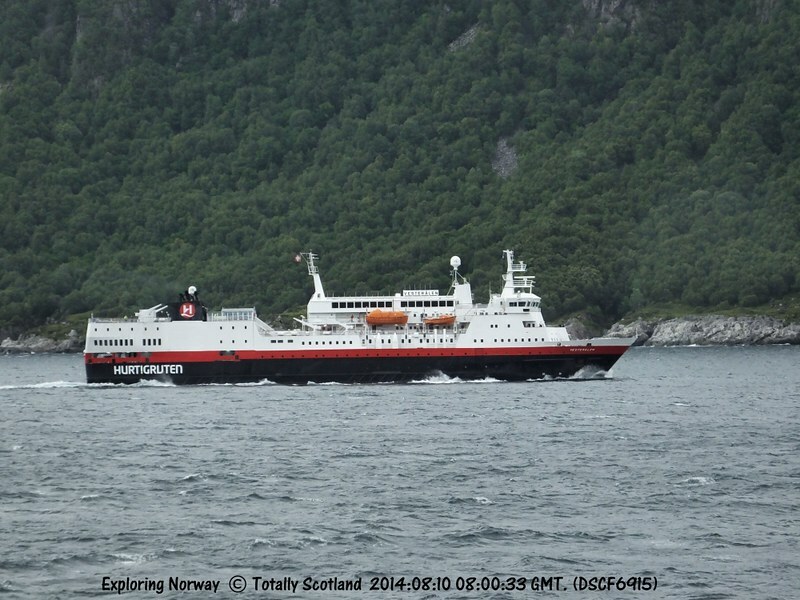 When beeing in Ålesund, more specific at Fiskerstrand with the car ferry "Værøy", we met "Vesterålen" on one of our sea trails. I love that latest shot from Grindøya. 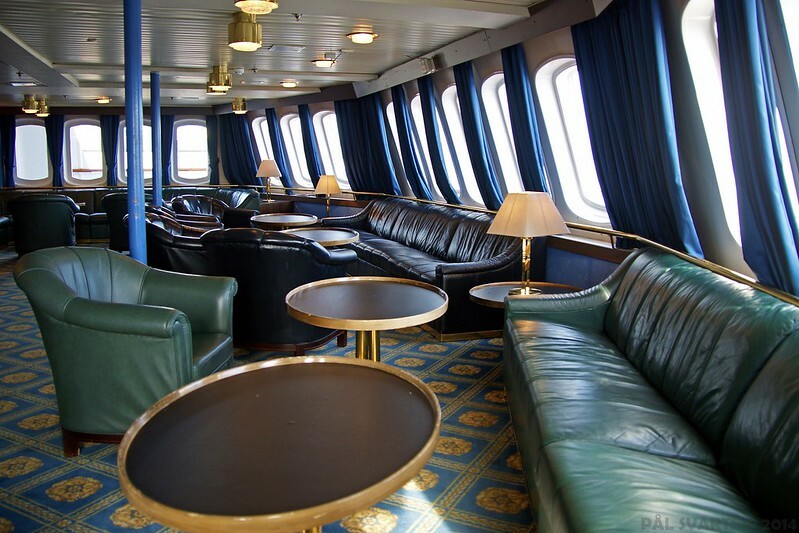 It is superb and what draws me in is the lights from the panorama lounge.... makes the place on board a perfect place to be.